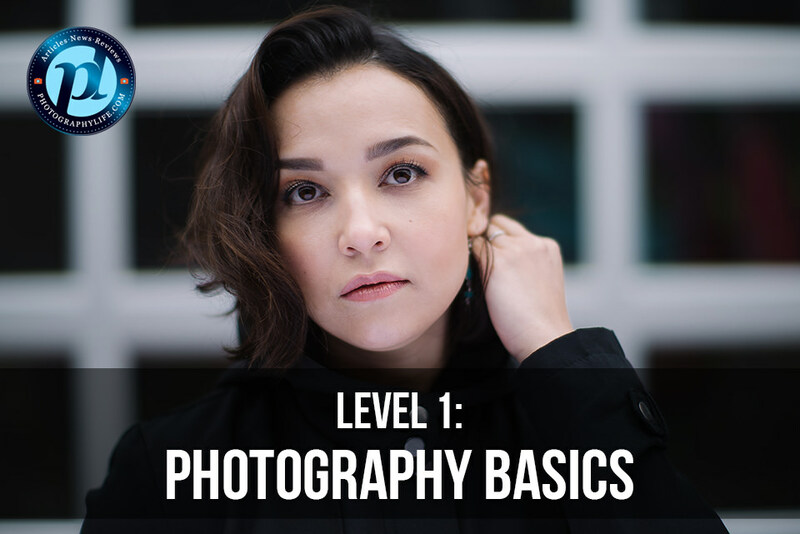 Our first Photography Life “Level 1: Photography Basics” course is now finally available! 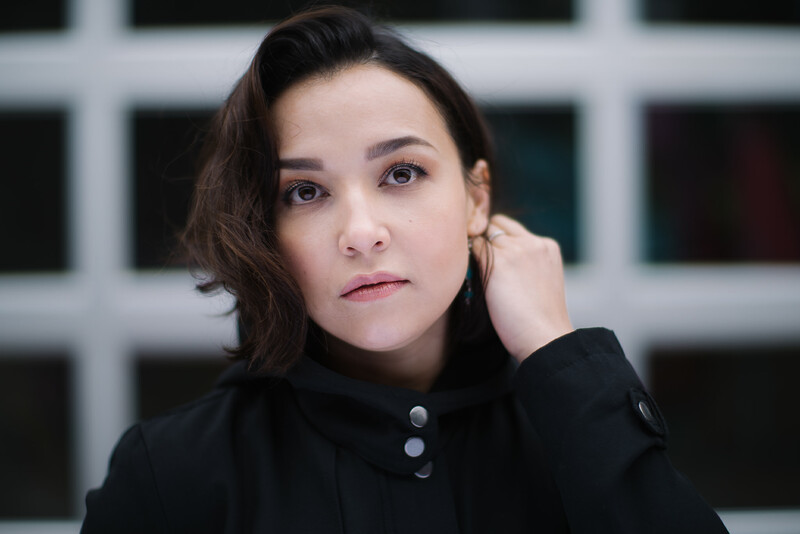 Featuring John Bosley and Nasim Mansurov of Photography Life, you will get some of the best educational material that covers the photography basics – everything from camera gear and exposure, to camera settings and depth of field. This is an intensive, 5 hour course (plus 3.5 hour in-depth camera menu overviews), so get ready for plenty of material to occupy your brain with! We go through a lot of material in this course – from cameras and lenses, all the way to specific autofocus techniques in different environments. If you would like to find out more about what’s covered in the video, check out this Table of Contents document for details. Each of the chapters is recorded in High Definition at 1080p, 23.9 fps in MPEG-4 format. The total size of the tutorial is roughly 12 GB in HD format and 7 GB in SD format. The entire course can be downloaded instantly (digital download version) or if you choose the USB version, you will get both. 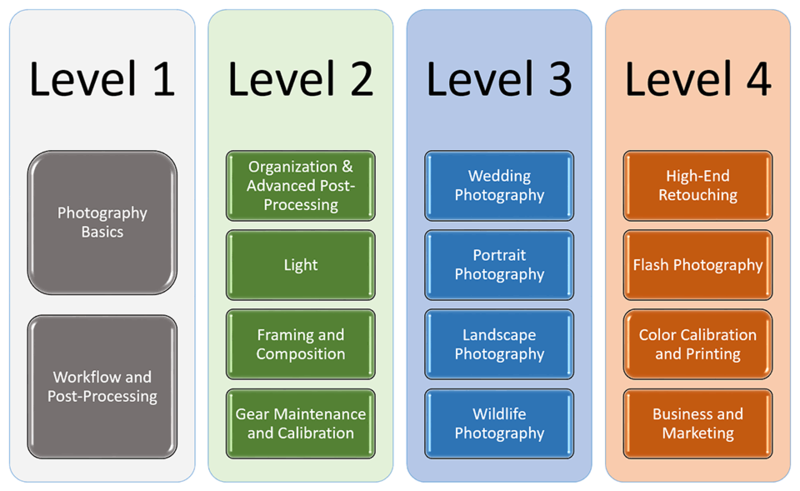 Although the “Level 1: Photography Basics” course covers a lot of the basics for beginners, we made sure that we covered plenty of topics, some of which can be considered a bit more advanced. We wanted to cover as much information as possible to make this course a great foundation course for photographers of all levels. So whether you are an enthusiast or a professional, there is plenty of material in this video that you can hopefully not only learn from today, but also go back to when you need a refresher in the future. We have huge plans for this project and the idea is to make a few foundation courses today, so that we can keep taking your photography training to higher levels in our future courses. Once we release our first “Level 1” videos, we will move on to more complex training material. The good news is that we won’t be repeating any of the basics in those higher tiers, so there won’t be any duplication of efforts. So the courses will follow a university-style program with a good amount of pre-requisite material that is recommended to master first before moving up to the next level. I’ve watched all parts or the Level 1 course (except for the pro menu systems, that’s not what I expect to worry about any time soon :) ) and really enjoyed it. I feel like I’ve learned a LOT. I had high expectations in terms of quality and was not disappointed. Some of the basic concepts were already familiar to me but a recap never hurts and I found a lot of useful additional info in every video. For example, I read my camera’s manual cover to cover but had no idea about cross type focus points! Great course structure and clear, thorough explanations. Easy to follow, solid content. I’ll definitely go back to some of the videos to make sure the info sticks, and will watch the case studies one more time simply because I enjoyed them a lot :) Looking forward to the next levels! All lessons are very useful. Many things are simply explained and understood. It’s like a photo beginner video type dictionary. After watching the many things may look differently and I can do things better. Thank you and please continue. The video lessons are awesome learning tools for beginner and intermediate photographers alike. I definitely wish I had a reference like this when I first starting photography. As everyone knows, modern DSLR user manuals aren’t among the most useful things in the world when one is just starting off. 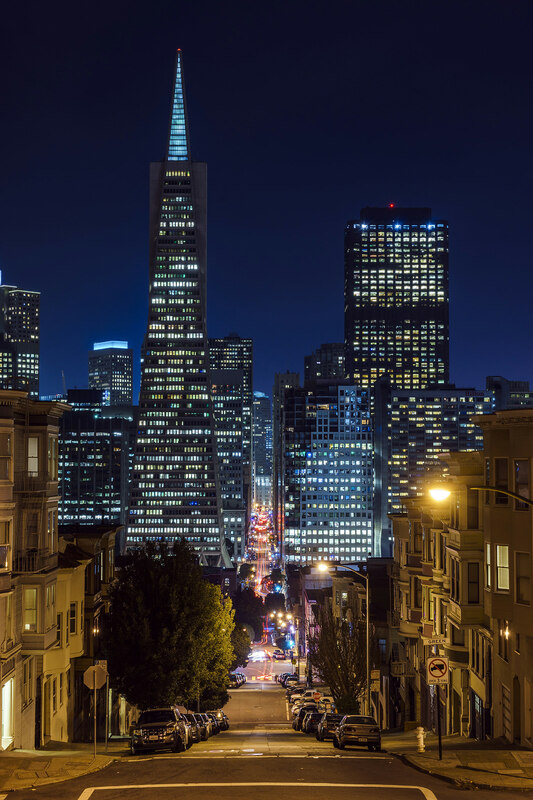 By following through this course, the beginner would definitely be on track to becoming the photographer they want to be. For the intermediate photographer, this course serves as a good consolidation review course, reinforcing the things you have, reminding you of the things that may have become hazy, and filling in the (hopefully!) few blanks remaining in your photographic education core. I look forward to future course from the PL team. Keep up the great work! A very good basic course. While it may be intuitive to some, I suggest adding a bit on how to hold Nikon (Canon) cameras while taking off the lens. I refer to recommended exact finger placement. For me this is always an awkward task, especially trying to push the lens release button, twist the lens and keep my fingers off the rear display screen. Also the set of menu settings necessary to use the AE/AF Lock and/or AF-ON Buttons for focus lock while setting exposure and taking of the picture with the Shutter Release Button. I had to try several times to get what I wanted. Perhaps you are thinking of covering this in an upcoming course. However, the description of these Custom Setting Menu items in the Nikon manuals doesn’t make it easy to choose the right combination the first time around. Thanks for providing this course, I was very pleased with it. I have watched many tutorials and videos to improve my photographic ability. While I consider myself pretty experienced (literally several hundred thousand images with many different cameras), I still learned new tips and tricks. From menu items, to better care in holding a camera steady, the videos provide value for every skill level. 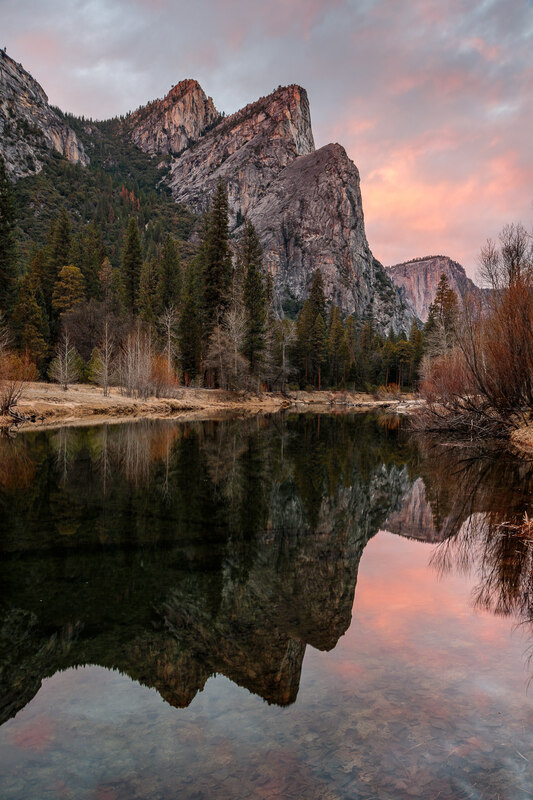 Content covers what is important for beginning to intermediate photographers. Example and graphics help clarify confusing points. Having two narrators helps to keep interest and provides differing perspectives. I am getting copies for each of my now grown children, so they can learn and take great pictures of my grandchildren! And so they can more thoroughly enjoy the hobby, art and joy of photography. Highly recommended! Happy New Year PL team. This is a very good course for beginners and may be also for intermediate photographers. Thanks to John and Nasim for creating this excellent course. Looking at the table of contents,I knew it was not going to help me much. I bought this course for my two daughters (8 & 13) who have showed lot of interest in Photography and so hoping this would help them learn the basics of Photography. I wish this course was available to me when I bought my first Nikon DSLR D7000 in 2011. I did lot of reading from various sites before I bought my camera and so it did not take me long to get up to speed. A course like this would had saved lot of time. For the last couple of years I have been shooting mostly in manual mode using a mirrorless camera and I have been enjoying it very much. I have watched all the videos (except the menu chapters), it did help me pick up couple of tips from DOF, AF and DR sections. Both John & Nasim have done a tremendous job talking in detail in every section. However, at times, I wished there was demo using the Camera. I am not sure if I missed this in the videos, couple of areas that I think could help beginners is: shooting indoors in low light and using Flash. I know PL team have Flash Photography planned in a future course but wish it was briefly touched on how one could use bounce flash or how to avoid the harsh flash light using a diffuser. Looking forward to future courses, Thank You!! I started taking pictures 5 years ago but I never attended a class. I used (and I still do) to look for information on what I needed on the web. Well, this course was actually what I needed: something to put all the basic information in the right place, explained in the right order and in a very easy way by professional and passionate photographers. I can’t wait to have Level 2 and Level 3 available. I am just entering the world of photography. I have found the course concise easy to understand and I have been able to translate most of the information to understand the operation of my camera which is a Leica Q fixed lens camera. The videos are very high quality and give a wealth of information that I hope to apply by experimentation with the camera. Perhaps there could be further additions that may give tips for brands other than Nikon and Canon. Great course I am looking forward to the next releases. As a self-taught photographer, I am finding this course to be a great resource. What I have gone back to review several times is chapter 11.3, the Nikon Menu options. You have clarified which settings are most important and how to best utilize the built-in functionality of my camera. I will be reviewing other chapters to solidify my techniques in the near future. Thanks for putting this course together. I can’t wait for the Post-Processing section to be released! Photography Life Level 1 has given me the confidence to say, “I know digital photography”. I am eagerly waiting for more levels to have rock-solid confidence. Though, I am already a subscriber to few other sites and purchased a couple of courses but without any bias I can say this course is prepared in a very very systematic manner and the lessons are explained in a lucid way right from holding the camera to understanding light, ISO, aperture and shutter, which are the essence of photography. How shoot in different situations avoiding pitfall is superbly explained practically. Hats off to you Nasim and John for the excellent work. This course was made by two people that communicate very clearly, and demonstrate the concept that they are describing with very clear examples. They did an extra-ordinary job of showing what you get after the shutter is pushed. That takes a lot of effort in producing the program, and I appreciate the hard work that went into this production. When I purchased this program, I thought I it was a beginners program, but it is not named “photography for beginners” It is properly named “photography basics”. I do not consider my self a beginner, but I did learn some basics that I should have known by now, but I actually didn’t know. The course on histograms was enlightening, and I really enjoyed the chapter on focus. I appreciated the menu review, and it confirmed many of the settings that I used through experience. I even learned some settings that I did not know even existed on my menu. For me, the course was worthwhile. I thought the presentation was excellent. The post production was superb, and I learned some concepts that I wasn’t entirely clear on. My wife and I both watched the course. We really enjoyed the different modules and learned a lot. It’s also a great reference to refer back to see and revisit explanations. Great course! I’m new to photography and have learned a ton. This class has taken me from shooting everything in an auto mode, letting the camera make all of the decision for me, to using manual mode about 75% of the time. I’m through about 80% of the course and definitely intend to purchase additional course when they’re available. Once I decided to purchase the course I couldn’t wait to download the files and start watching. Over about four days I found time to watch each of the chapters, except for the camera menu chapters for the cameras I don’t have. I am beyond pleased with the quality of the presentations and the information provided. I’ve used my Nikon D-750 for about seven months and now wish I had this course to help me learn the techniques presented throughout the chapters. It would have helped during my trip to the Dolomites. As suggested in the first chapter, I’ve spent time at the Desert Botanical Garden practicing what was presented. Thanks for a great course. I look forward to the next level. Great Course, I like it that 2 people are teaching, information is easy to understand. I have watched the course a couple of times and use it as a reference. I should like to know: is the diameter of the lens aperture for a given aperture stop number (e.g. f/2), expressed in mm, independent of the lens or of any other camera parameter? I bought this course for my son. Course outline given was very logical to my mind and was one of the factors in my buying decision. That said, I follow PHOTOGRAPYLIFE regularly and find the content on the site extremely relevant and easy to understand and I had the same expectations from the course as well. I must say, this course has more than exceeded my expectations. Before passing it on to my son, I went through the entire course myself. Now, I have been thru a some other photography courses online and I have found some to be too technical while others had an approach that did not get you hooked to the subject. Photography is an interesting subject and its basics are the same everywhere. How one deals with these basics and their application in real life scenarios is what makes a course interesting or not interesting. Get too technical and one may loose interest while keeping it too generic may also lead to the same result. What matters is – after having gone thru the course, am I better equipped? Can I readily put whatever I have learnt into practice and correlate the same with the result that I get? This course tick all the right boxes for me. The approach is amazingly personal, content is rich and presented logically and it actually motivates you to experiment and explore the limits of your equipment and your understanding of the subject. The technical side of the subject has been handled in a not-too-technical manner that leads to better and faster understanding. I have saved the entire course on my smartphone and we (me & my son) always look it up when we are out taking pictures. The section on the menu options for entry and pro level DSLR’s is a real bonus and this has simplified a lot of settings for us. This is one course that my son has really got hooked to. What he now does is to have his DSLR handy while watching this course and keeps experimenting with different settings and techniques. That has helped him visualise a number of things that he then tries whenever he out with his camera. The course has become an amazing learning tool for him. But can you guess his favourite section in the course? – it is Chapter 12 :-). That always sets him up for the learning. Keep up the good work guys, I can’t wait for your next course. After using this site for a while, during the quiet times at work, I read about the course. This is the first first photography course I wanted to take, being a complete beginner, only getting my first entry level DSLR camera a few months ago. And straight away, I can say I am glad I deceided to buy this course. It was so easy to follow, and it helped to reinforce what I had managed to learn by myself. It had everything you could need to go out with your camera, and start taking some photos, feeling confident that you don’t need to use Auto anymore. I would suggest this course to anyone who wants a course worth every penny. The one thing that was missing, that I would like to of seen, was an introduction to flash. Nothing about using speedlights or off camera flash. But something about what you can get out of the pop-up flash on the camera. But I expect there will be a serperate course for flash, and I will most likely buy that one as well. Can’t wait for the next course, especially the one about post-processing. After a meditated decision, I have finally bit the bullet and bought the course. In the past I attended an extenuating 8 months long course in which I found myself lost due to the impressive amount of information provided. Of course it can be really useful, but it is too much as an introduction. After a few months resting, I came up with Photographylife.com and realized they were offering the first of a very promising series of video lectures in order to achieve a proper level of confidence with my own equipment. Video learning has always been effective for me, as it provides a level of flexibility you cannot achieve by having an onsite course. For the type of photography I am mainly interested, I think this course is going to be very helpful. Looking forward to consolidate my knowledge with it, and hoping I will engage also in the post-processing course so I get to unleash the power of Adobe Lightroom. My girlfriend and I have just got into photography and these videos have helped us a lot to learn the basics. This is a such a great course. I love the way the instructors explain the material. We highly recommend this course to anybody who wants to learn photography. We can’t wait for the upcoming courses provided by photographylife.com. Two thumbs up!! I was out of town yesterday when this email came through – hope I am not too late! I am currently option to module 6 and LOVE IT. Although I have been a serious (amateur) photographer for years, this course has taught me (already) several things I did not know. I cannot wait to get through it and to see what is coming up in the future modules. Excellent course! Thanks a lot. With so much of bewildering information och desinformation out there (e.g. Ken Rockwell and the likes…) it’s so valuable ta have access to the knowledge and experience of Nasim and John and the rest of the team. There is so much to learn, and you guys do the teaching so well. Great job! Congrats! Looking forward to future courses. This was a good course for beginners but not great. I also think the price is a little high for what it is. There are other courses out there for the same price that cover more material with examples that are more clear and in depth. And those classes also often go on sale for less even. One of the other classes I saw gave the live audience a quiz after every section with different pictures than the example and by the end, I could identify which focal range the lens was as well as name one element of the exposure triangle if given the other elements. I think for what is out there, this is a decent class but you’d be best off finding the one with the quizzes (John Greengo).